You are here: Home ﹥ Article ﹥ Edward Bess Launches! Whew! 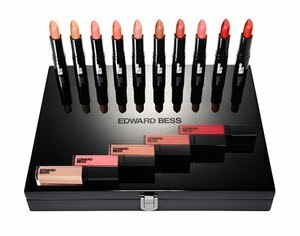 It’s about time really, but finally we have the beautiful Edward Bess make up range launching at Zuneta.com. There is nothing about this line I don’t like – nothing at all. 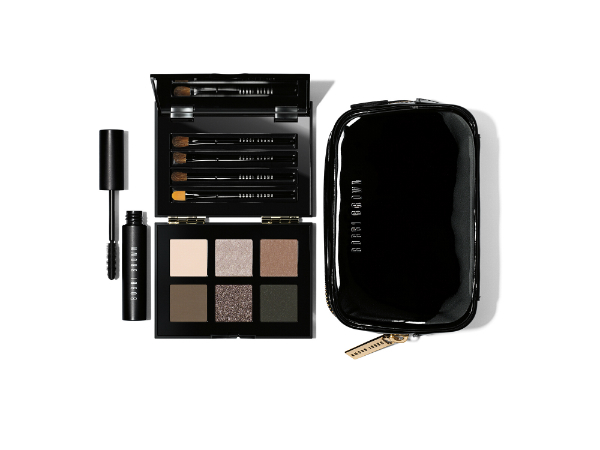 It’s so beautifully edited into a stylish collection that will suit all women. From splashes of red gloss and lipstick to muted, but highly pigmented, wearable colours (think grey, khaki, cappucchino), it’s all just totally and instantly wearable. I like it better than any range I have seen for a very long time. If you haven’t seen my previous Edward Bess posts, I’ve been chasing this poor boy down for three or more years to come to the UK, leaving him ‘get in touch’ notes at Bergdorf Goodman, emailing and even trying to track him by phone, because I was so convinced the UK would love the range. I managed to grab a quick lunch with Edward today – he’s on a whistle-stop visit to launch the range – and he is as slick on presentation in person as his gorgeous range. Blessed by the gods of beauty himself (and if you want to check out his website, www.edwardbess.com those girls are his sisters so it’s clearly in the genes), I wanted to know if he ever wears make up (not that he needs to – he has the skin of a supermodel). It turns out that he doesn’t but will confess to running a comb through his eyebrows. He’s got firm ideas – for a 24 year old – on how he thinks he can make women look beautiful, which is not that surprising when you consider he comes from a family where his grandmother wore red lipstick to bed. He doesn’t eat dairy, loves a bit of yoga and opts for organic food where possible. He’s slender as a reed, wears his hair long and loosely curled (although he denied it flat out, I still remain convinced there is some Carmen rollering going on there) and dresses starkly in black and white. He makes no bones about the fact he had ‘generous family help’ when it came to starting the beauty range – and very understanding parents, by the sounds of it. There can’t be many 19 year old boys who want to start their own beauty label (‘okay, son. so, you want to be big in lipstick you say?’). Stand outs from the range are the new compact foundations; feather soft formulations that give a luminscent coverage, the creme blush that literally glides across the skin, and the glosses – oh, the glosses! A couple in the spectrum are too deep for me to wear, but they’re fig scented instead of the usual blah vanilla, and do that slick slide that’s almost exclusive to expensive gloss. 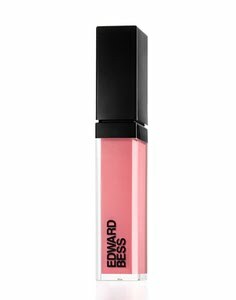 The Edward Bess collection is probably best known for the Lipstick Wardrobe; a sleek laquered box that comes in a black silk bag and contains all the glosses and the lipsticks. 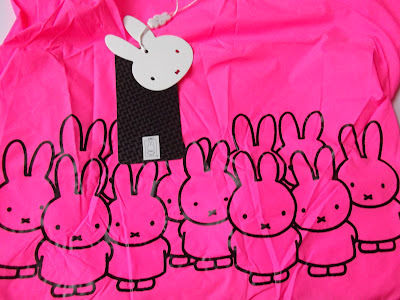 It’s genius luxury with a very luxury price tag, £310. 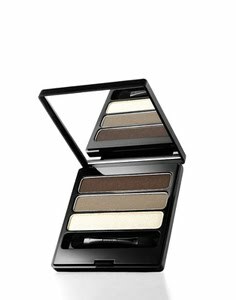 If you want to get yourself a little piece of sleek EB, I can tell you that items are already selling out on www.zuneta.com, so be quick! well it all sounds very wonderful- I will have to try some won’t I! It’ll be a long time before I’m able to afford or justify the prices, but my goodness I wish I could! He is very pretty, but the products are boring and the prices are way too high, so I’m uninterested. Wow he sounds like a real boy wonder – launching a makeup range at 19. Can’t wait to try out some products. However the claim that he doesn’t where makeup….did he seriously say that? or does he have the celebrity definition of “no makeup”. 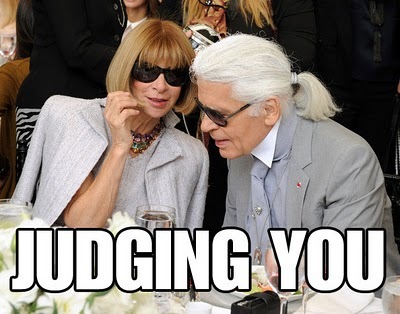 Kis Anita : well, he’s way too pretty for a man (ok., ok, he’s a boy yet), but why do you think the products are boring ??? Man, that lipstick wardrobe is something. So covet worthy. I could almost be provoked to hurt someone for that. Beautiful! He was everything you hyped him up to be. Am officially joining your fanclub! 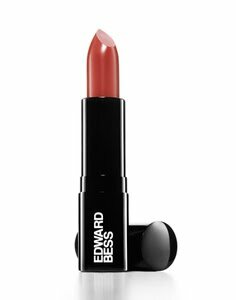 I have several Edward Bess products, bought partly after I read the raving on here. Frankly, I am sick to my stomach over the price I paid for what are nice enough products, but nothing terribly special. I bought 2 eyeshadows, a lipstick, a gloss, and the All Over Seduction highlighter. My verdict? Way overpriced for products that are merely OK. 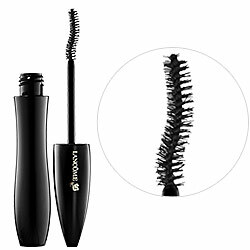 I realize the lemming nature of those of us addicted to new beauty products and so accept that I am unlikely to change the course of fate and dissuade people to part with their money for the stuff, but I dearly wish I had just gone and picked up some more Armani and Dior items instead of Edward Bess. Big waste of money.